Do you experience stress? Do you know how stress affects your body? Do you know stress comes in multiple forms: physical or trauma, chemical and mental? of many illnesses and symptoms ranging from high blood pressure, stroke, diabetes, anxiety, ADD or ADHD, digestive problems like Chron’s, Irritable Bowel Syndrome (IBS) and acid reflux, immune deficiency, allergies, headaches, musculoskeletal disorders, fibromyalgia, weight gain, sexual dysfunction, insomnia, breathing problems and much more. Stress can also lead to many addictions like smoking and alcohol and even lead to suicide. Many people reach for different medications to fight many of these conditions and symptoms that result from stress. Unfortunately most don’t realize the drugs are just covering up the symptoms and resulting in other symptoms due to side effects. This is a vicious cycle currently used by most medical doctors in treating their patients. 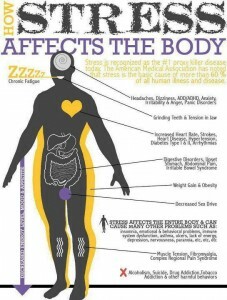 Chiropractic takes a natural approach at addressing the cause of all of these conditions: STRESS! The nervous system coordinates all functions of the body and when under stress, the body has a difficult time regulating the organs, tissues and cells of the body. The best method of correcting the problem is addressing the nervous system to bring it back to balance. 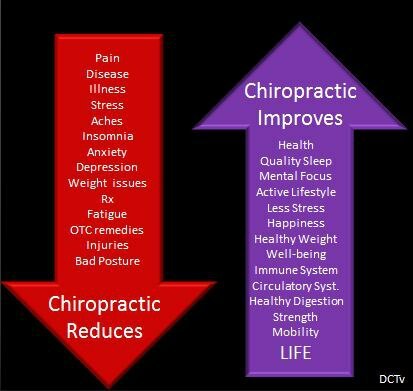 This is what chiropractic does for you! Chiropractors work with your nervous system because it is like a circuit breaker system through which the spinal cord and nerves send their messages. Messages from the brain go to all parts of your body via the spinal cord and at every level of your spine between the vertebra, nerves go to their destination either a muscle, organ or other tissue of the body. If the messages from the brain are uninterrupted, the body can handle stress more easily and function optimally to bring you natural health and wellness. But due to the different daily stresses we experience from birth til death, the spinal bones that protect the nervous system can move out of place therefore interfering with the nerve messages and causing dysfunction, disease and symptoms. Chiropractors detect and correct the misalignments (subluxations) of the spine by adjusting the vertebra to remove the nerve irritation which helps release muscular tension, increase circulation and improve function of the body. Everybody experiences stress! You have to learn to manage stress including exercise, proper nutrition, do activities you enjoy, meditate, get adequate sleep and most importantly get your spine checked and adjusted by a chiropractor. Don’t wait for symptoms like headaches, digestive problems, daily aches and pains, high blood pressure, weight gain or other issues to show up as the symptoms are the last sign to show up. Prevention and maintenance with chiropractic care helps keep stress at bay and your body functioning optimally to maintain your health and wellness so you can enjoy your family and normal daily activities. In our Freehold NJ office, Hometown Family Wellness Center, we take a multi-pronged natural approach to reducing your stress and improving your health naturally. Freehold NJ Chiropractor reviews stress with state of the art technology we will measure how your nervous system is functioning, what sensitivities you are experiencing due to stressors, and analyze how your adrenal glands are functioning. Your adrenal glads are also called the stress glands as they regulate the 4 main hormones that help the body deal with stress. To find out more information about our practice go to www.ChiropractorFreehold.com. Call our office at 732-780-0044 to have your spine and nervous system checked. Answer these questions: Are you taking pills for high blood pressure that were prescribed to you? How about for diabetes, cholesterol, asthma, acid reflux or other conditions? If so… when is your ending date to stop taking that medication? Do you know the side effects: liver failure, kidney damage, aches and pains, digestive problems, headaches, decreased libido, low energy levels, low quality sleep.. just to name a few. Would you want to be taking that early in life, or would you want to put that off as far into the future as possible or avoid it altogether… what is the better concept? Our country and most citizens think the current healthcare system promotes health. It is actually a sickcare system. A pill does not heal. Medications are one of the leading cause of death in our country. These meds have more side effects that lead to the use of more meds. It’s a vicious cycle. They just mask your symptoms and give you a false sense of health. On top of that, surgery should be a last resort. The United States uses the most prescribed drugs and surgery, yet we have the lowest rated health of all developed countries. The New England Journal of Medicine has an article stating the U.S. health care system ranks 37th in the world: Ranking 37th — Measuring the Performance of the U.S. Health Care System. Now with Obamacare, people are going to be pushed more toward the sickcare system we have been stuck in. Pushing more drugs, more surgery and increasing the expense of the already tremendous “healthcare” costs. We need a true change! Not pushing more of this garbage. Obamacare is so wrong in many ways. If there was a TRUE Healthcare option would you want to explore that? grade school children, siblings, parents, and grandparents being evaluated for healthy lifestyle decisions and given proactive advice by advocates of life and health. Imagine how many lives, psyches and money would be saved if preventative steps were taken prior to a health crisis and how much money would be saved from excessive and unnecessary medical procedures. 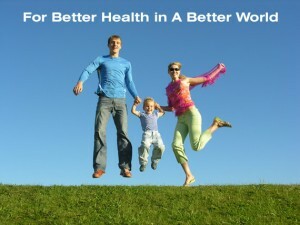 Health is a choice, it’s a lifestyle… Health is about prevention and maintenance. Health is making sure the most important system of the body (the nervous system) is functioning at 100% so the body can function optimally. Health is about providing the body with the healthy nutrition it needs for energy and allow the tissues to heal. Health is about exercise. Health is about mental well being. Health is your choice as it is your body! 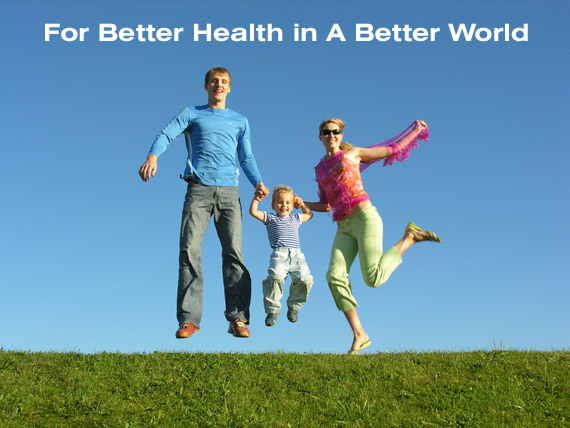 There is a HEALTH profession that has been promoting health care for over 100 years. Do you know what profession that is? I’ve been a chiropractor for 14 years and owner of Hometown Family Wellness Center in Freehold NJ. Many people from Freehold and the surrounding towns of Marlboro, Manalapan, Howell, Colts Neck, Jackson, Howell, Morganville, Englishtown and other communities of Monmouth and Ocean county are searching for the answers to improving their health naturally. Most come in for pain relief but they start to see many of their other symptoms resolve and many times are taken off their medications. I educate my patients on the 5 key steps at making their body healthy and they start to live a healthy, active lifestyle without drugs and surgery once again.